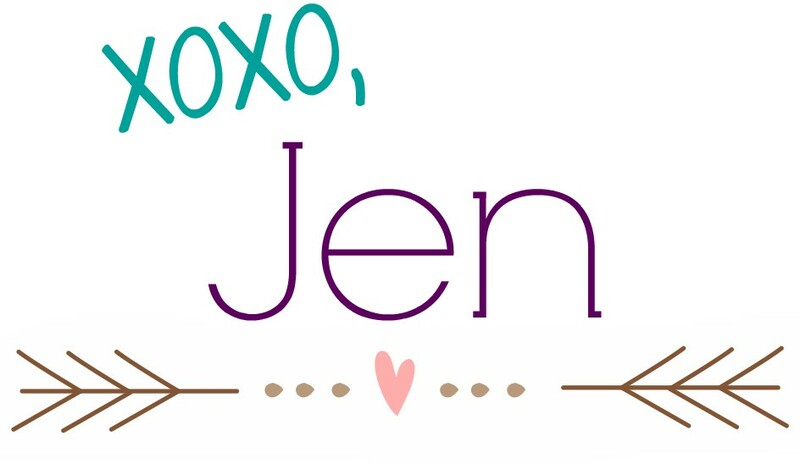 Tributes are an expression of appreciation and can be represented in so many ways. They may focus on the positive influence of a person on our lives, or focus on their accomplishments. In many cases both topics are combined. Tributes can also celebrate the success of a group, a business, or an organization, rather than an individual. We honor heroes through building a statue or naming a structure or street after them. Or we make a montage of pictures or a short film for a loved one who passed. Some are more grandeur than others, just like the creator of the Taj Mahal. Emperor, Shah Jahan commissioned it to house the tomb of his beloved wife, Mumtaz Mahal. We have had the opportunity to read so many poignant stories about everyday people coping with the realities of death in inspiring ways. These stories demonstrate how grief can produce something remarkable. Loved ones are driven to do something extraordinary in memory of another, whether to work through their loss or to show the world how special the person was to them. But it’s rare to hear about a restaurant being created in honor of someone. 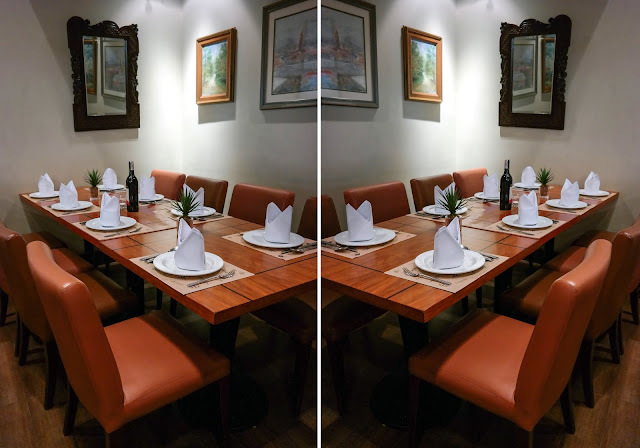 Lorenzo's Way is a happy tribute to the man behind some of the country's finest restaurants for over a quarter of a century: Café Adriatico, Bistro Remedios, Café Havana, Abe, Larry's Café & Bar and Fely J’s Kitchen. Acknowledged then and now as the pioneer in theme and concept restaurants, Larry J. Cruz created - Solana, In the Mood, Bistro Burgos, Bistro Lorenzo, Prego, Ang Hang, Afrodisia, Africana, Mil Noveaentos, Camp Gourmet and Bollywood. 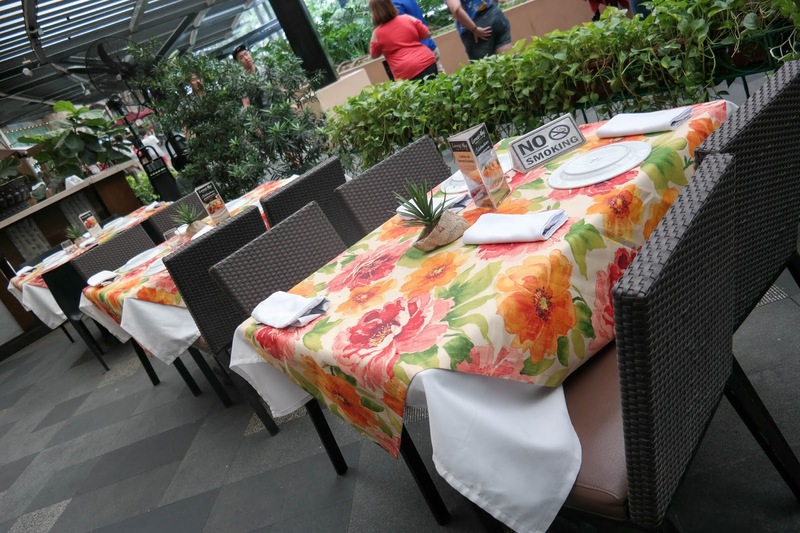 He was instrumental in shaping Philippine café society. He introduced well-loved Filipino dishes to the world with his Manila in Georgetown, and Café Adriatico, Hong Kong. Larry, as he was called by all his friends, was a journalist, a publisher, and a restaurateur. 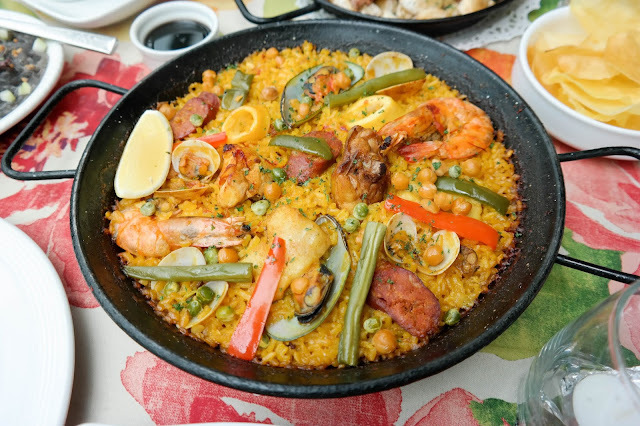 His love for food and the joy of sharing it with friends he got from his father the eminent writer, editor and painter Emilio "Abe" Aguilar Cruz. 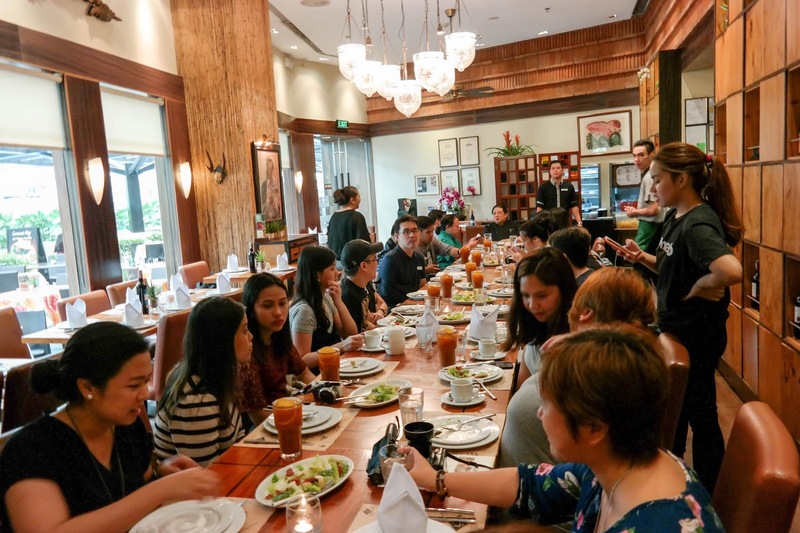 I was fortunate enough to somehow partake to that tribute when I got to dine at Lorenzo's Way at their Greenbelt 5 branch one fine Saturday with my fellow foodies. I love the elegant, colorful and almost-old world atmosphere of the restaurant. 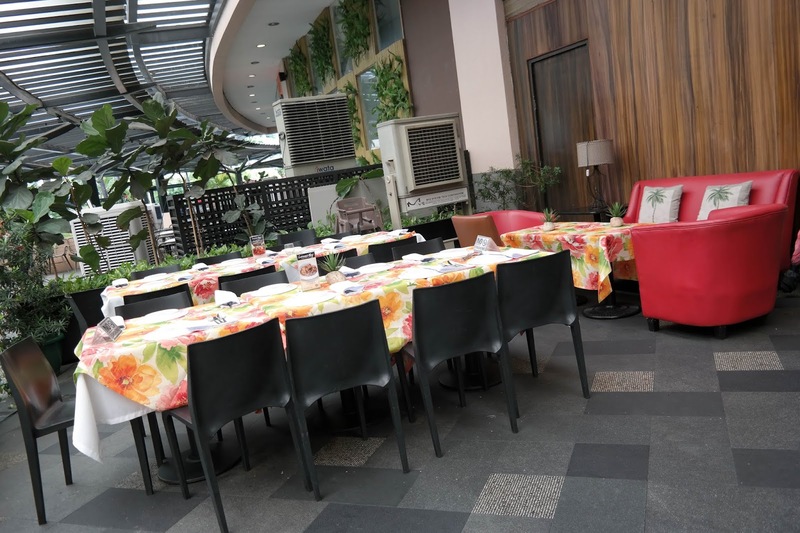 You could see and feel that this place is somewhere where families and groups of friends could gather and enjoy the company of one another. We were also fortunate to meet Chef George who prepared us one of the sumptuous and heartiest lunch I’ve ever taken part of. 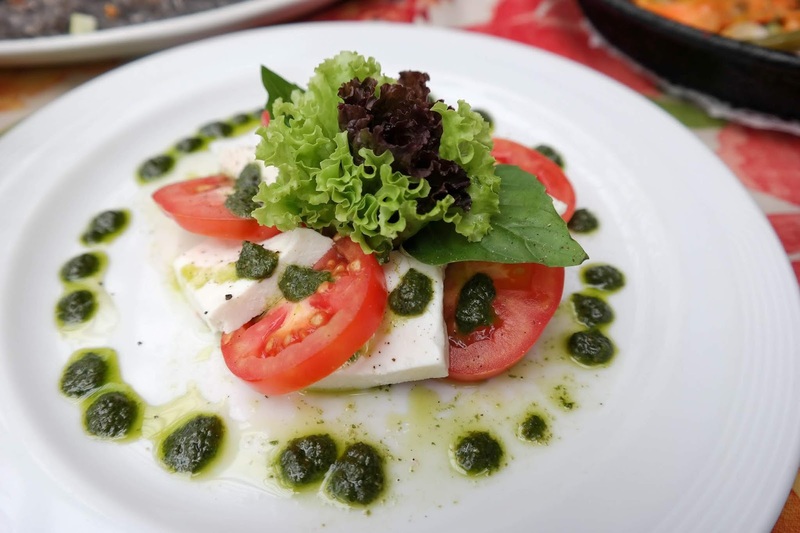 Kesong Puti Caprese - soft Laguna cheese with tomatoes and fresh basil pesto. 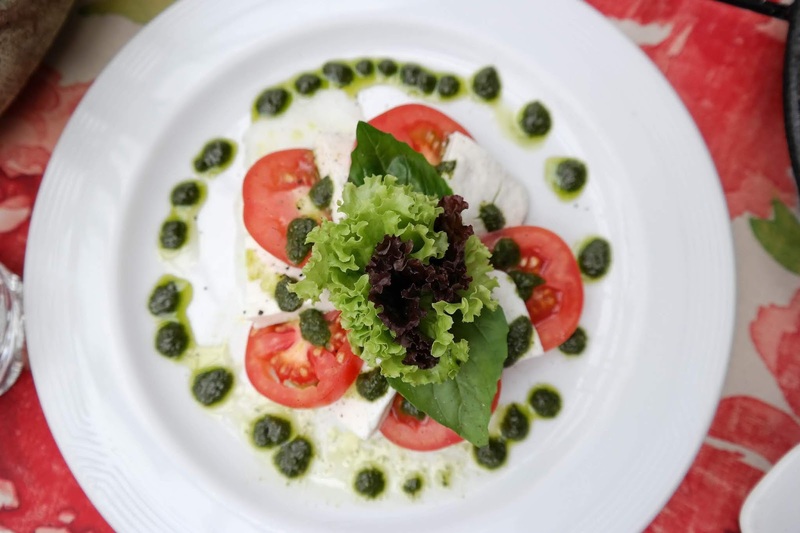 This dish was first served at Prega, an art deco Italian restaurant created by Larry J. Cruz in the 80s. For someone who loves just about any cheese, I could say I loved eating this. 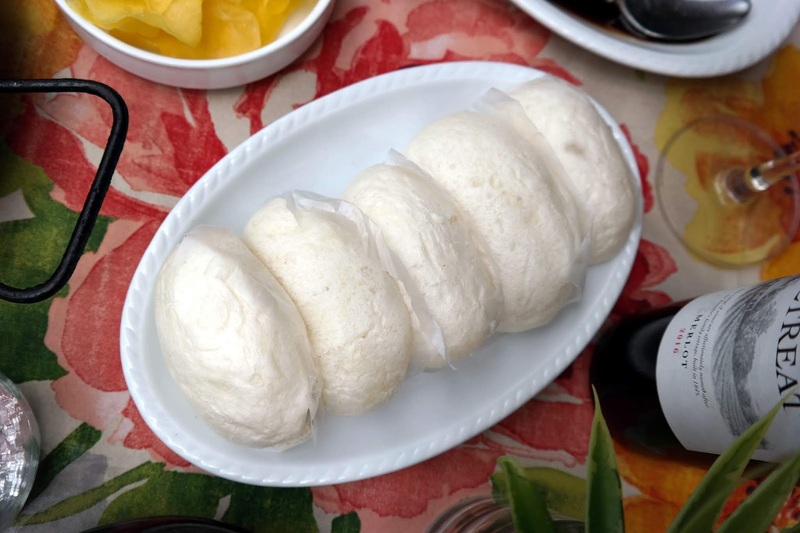 Kesong puti is one of my fave cheeses of course, besides that's it is local, it really has strong flavors. And then adding tomatoes and basil pesto to it gave it more character. 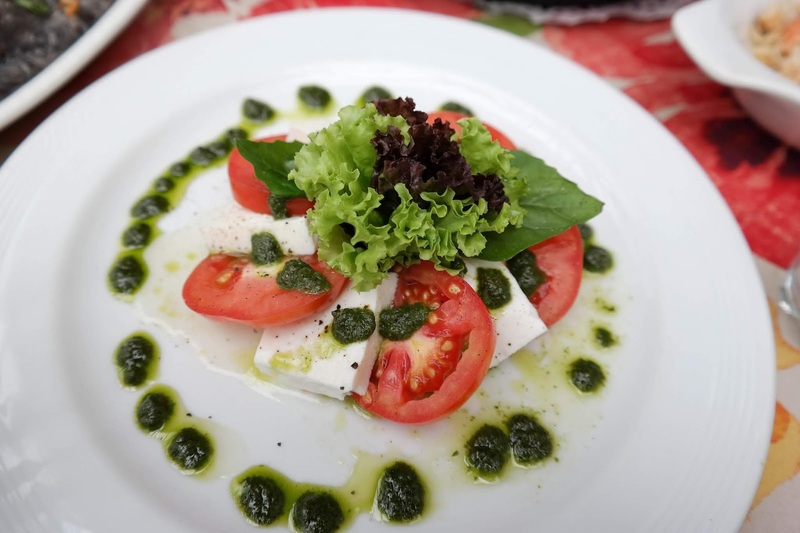 It's a fascinating take on caprese. Caesar Salad - crunchy Romaine lettuce served with thick anchovy dressing, bacon and croutons. 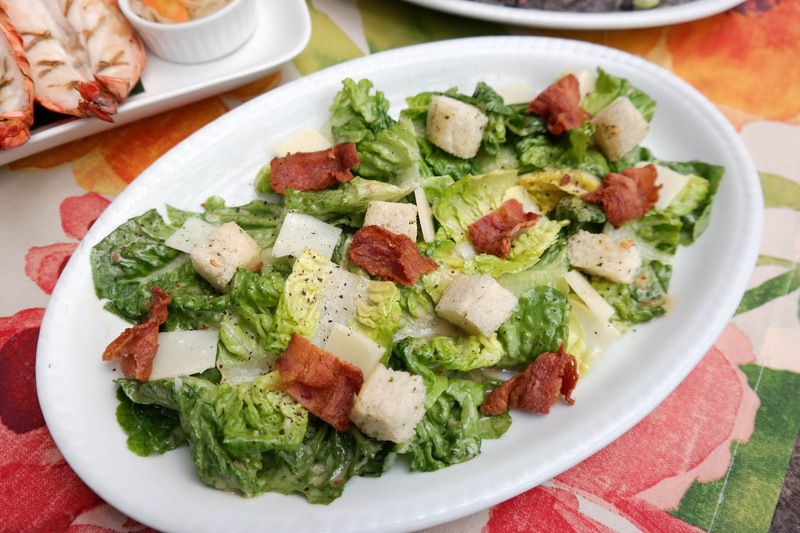 OMG, the bacon on this Caesar salad is crazy! I actually ate more bacon than the salad hahaha! Defeats the purpose of eating a healthy dish, but oh well… I love the dressing, I love anchovies and this had just the right amount of saltiness. Paella Valenciana - seafood meat done the classic Spanish way. This was a popular dish from Mil Novicientos (1900s) an LJC branch that served Spanish-themed dishes. 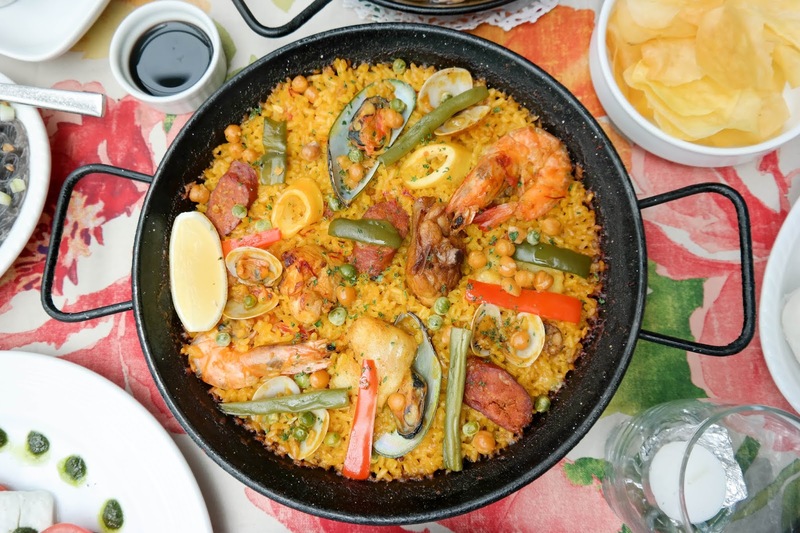 Seafood lovers will marvel with this paella and was served in a very generous portion. But I had to stop myself eating way to much as I was making sure to save room for the other dishes and desserts. This may sound funny and some don’t usually do this but I took a quite a good portion of the singed stuff or toasted rice at the bottom of the pan because that actually contained the most flavor. 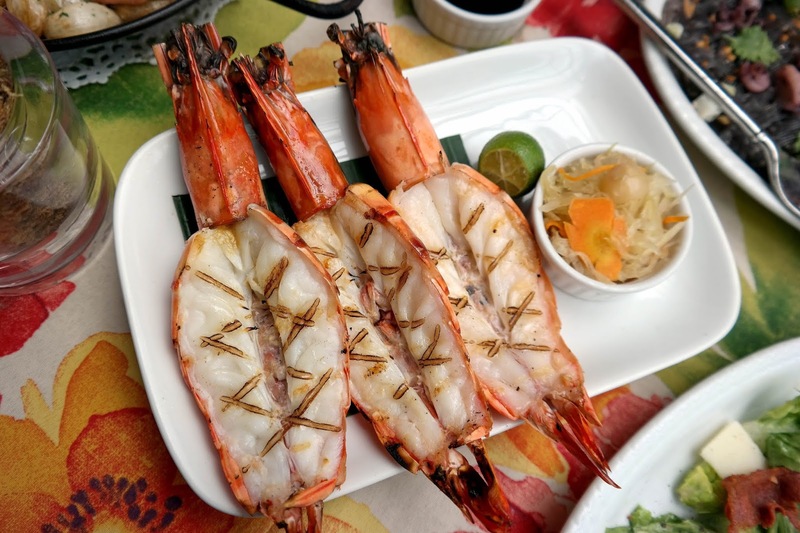 Inihaw na Sugpo - grilled prawns served with pickled green papaya. I may be allergic to seafood but no one could stop me to indulge in these goodness. Even by the presentation of the prawns I was already excited to eat them, just take a look at those grill marks and how good the color of the prawns; they sure looks fresh. The prawn meat was creamy, milky and slightly sweet and I added a lemon-butter sauce on it and it was divine! Costillas de Ternera Guisada - tender braised beef short ribs in wine sauce with vegetables and olives. 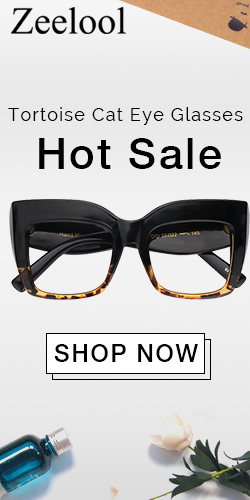 A must by at Lorenzo Way! Ok, this dish made my world stop, seriously, no joke! Probably one of the best beef stews I’ve ever eaten my entire life. The meat was so tender and almost falls off the bones. The sauce was a balance of sweet-salty and truly savory. My top 2 among the main dishes. Spanish Garlic Chicken - Lorenzo's Ways boned chicken baked with garlic cloves and olive oil. 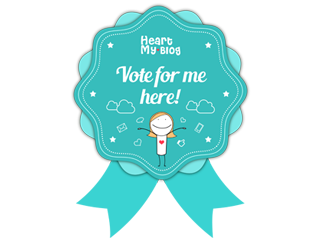 You want to know why the Costillas de Ternera Guisada was just my top 2? Because of this dish! This dish was the first dish I got to try at Lorenzo’s Way years ago and I completely fell in love with it. I just love the flavor of garlic. The chicken was already flavorful but put a clove of garlic with it and eat them all at the same. Boom! The flavors are just out of this world. You gotta try it and you’ll eventually realize why this is my and many of Lorenzo’s Way’s patron’s favorite. 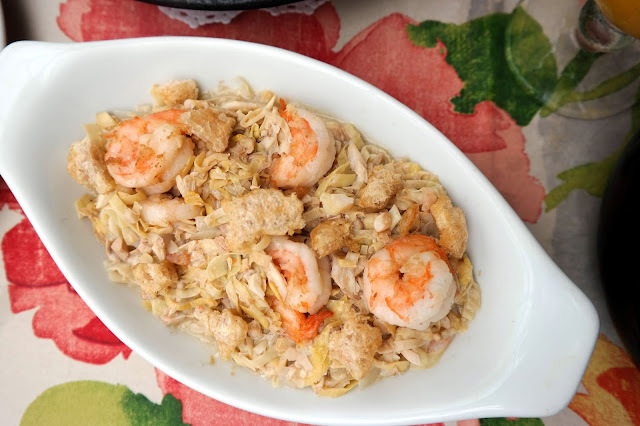 Adobong Puso ng Saging at Gambas - fresh banana heart stewed in vinegar and soy with shrimps and topped with chicharones. This really was a palette party. I initially thought this was a weird combination but once it hits your mouth, the tanginess is just a burst of yumminess. But TBH, this was my least favorite of all the dishes. 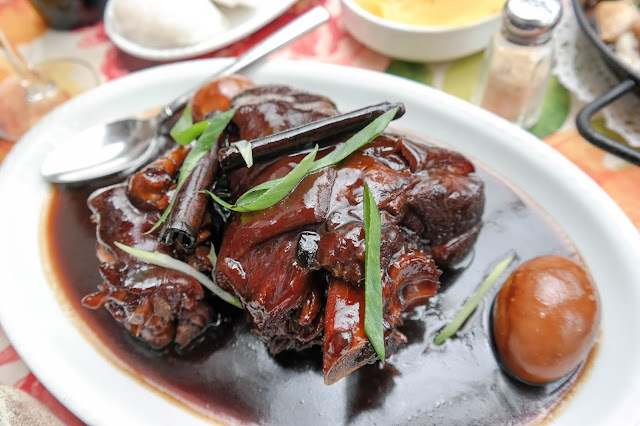 Black Pata - Black Pata - enjoy this stewed whole pork leg in soy sauce, cinnamon sugar and Chinese spices. This is also called Pork Humba if I am not mistaken and a popular Visayan Region dish. 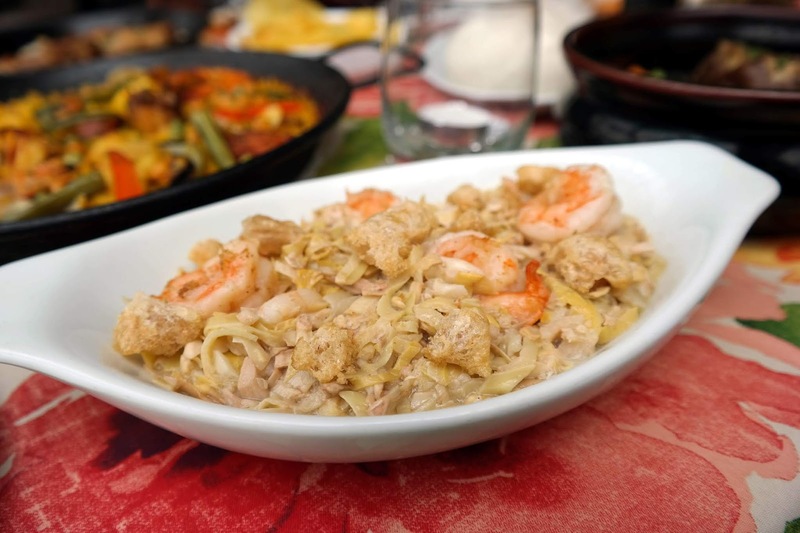 It is also cooked like adobo but we added marked flavors of cinnamon and Chinese spices. The sauce is very fragrant, thicker and darker too. 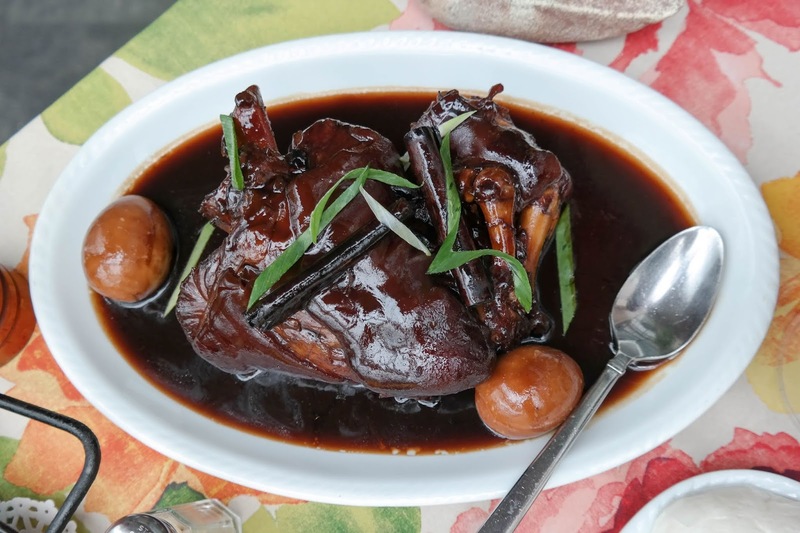 This Black Pata also came with mantao buns so you can eat them just like a bao or siopao. Oh by the way, the meat was super tender and the pork skin and fat almost melts in your mouth. Pancit Sotanghon sa Baby Pusit - mung bean noodles sautéed with fresh baby squid in its ink. You can find squid ink most commonly on pastas and this is the first time I’ve heard and eaten a stir-fried noodle dish using squid ink. I love that the squid ink flavor wasn’t too much. It was just right to add flavor onto the noodles. Gigil Tart - fresh coconut meat and salted egg in a custard tortelette, drizzled with jiggery syrup. I actually don’t know what to make of this pie. Is it a buko pie? Is it bibingka? I actually don’t care because it was something new to my palate and I was so down for it! 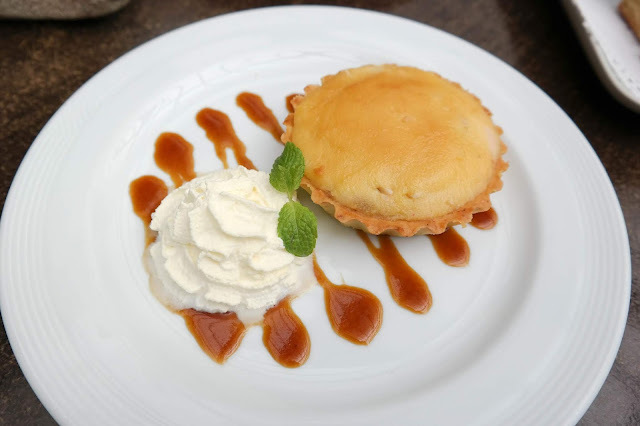 The name of the pie is so cute too, don’t you think? Gigil! It’s a good gigil, you know like that feeling when you a super cute baby or a pupper and you can’t barely control your desire to pinch the baby’s cheeks or pet the pupper. Hahaha! 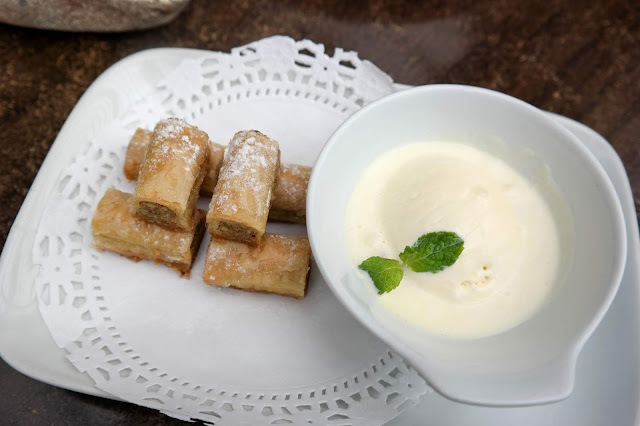 Baklava - Larry J. Cruz’s favorite Mediterranean-style sweet filo pastry filled with walnuts and pistachio served with ice cream. I don’t know if I love Baklava or not because most of the ones I’ve tried tasted bland and super flaky (not a good flaky type of way). But these little pieces of heaven changed my mind. 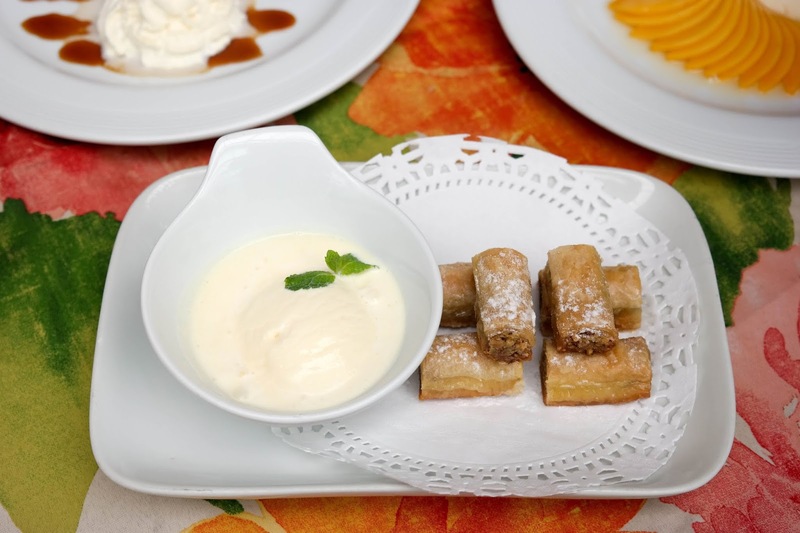 Still uses filo pastry but rolled and compact so you can truly enjoy them. Dip them in slightly melted vanilla ice cream and you’ll be sent off to nirvana. 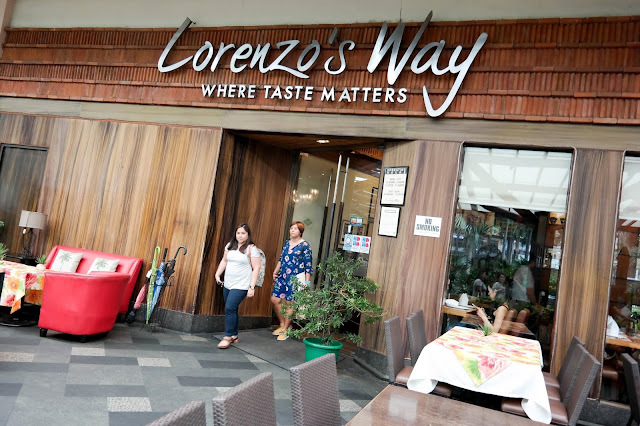 It’s my top 3 of all the food that we got to try at Lorenzo’s Way. 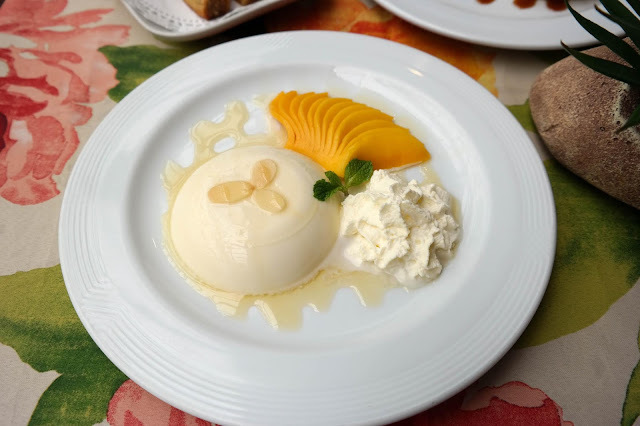 Mango and Almond Panna Cotta - creamy Italian style custard with sliced mangoes and honey syrup. 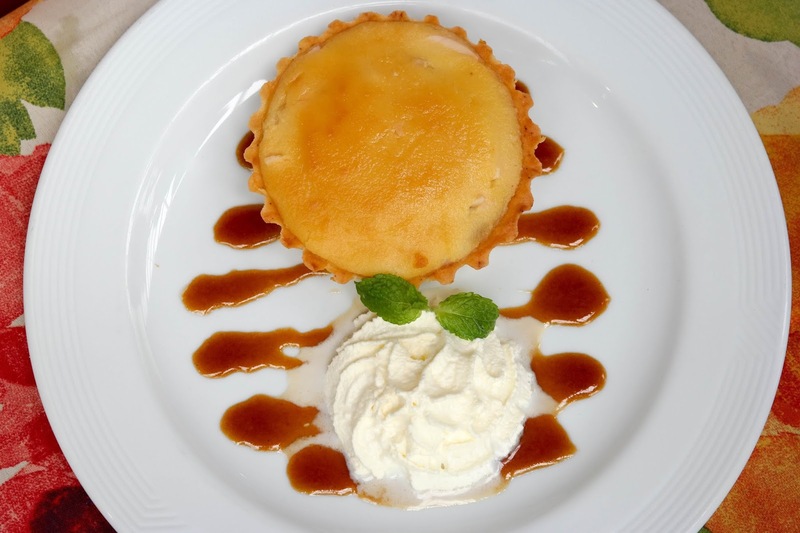 This dessert ties with the Baklava on my top 3. 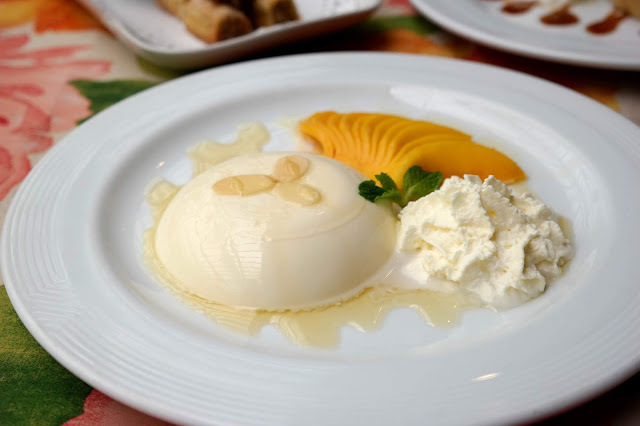 The panna cotta was light and smooth and eating the mango together with it was a surefire treat. Many things have been written and said about Larry J. Cruz's legacy and his life's work but always "style" and ”taste” - are two words that come to mind when describing his way of doing things. For him the good life was living well, always within one’s means with things one loved most: old and buffed wooden floors, a good painting in a quiet frame, a good book, family photos in silver frames, a good cigar, great tasting wine, a worn area rug, good fitting clothes, and most of all good manners, discretion, civility, and always with consideration for others. 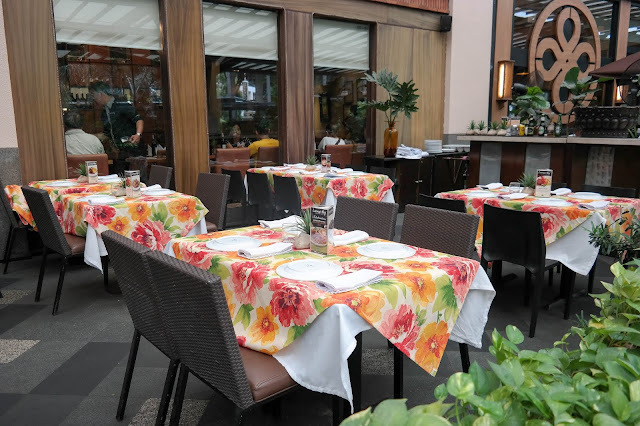 I must say, all those are very evident with the dishes that one can enjoy at Lorenzo's Way.